Steamship Companies, sildenafil remedy Hotels, sildenafil viagra National Travel Organizations, health Cities, all reused the same images they placed on posters and brochures. 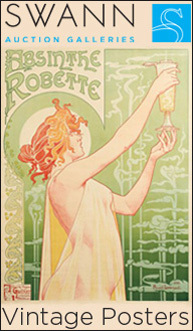 The two postcards below are two examples. The first was issued by the N.Y.K. Lines for their Pacific Ocean Service. 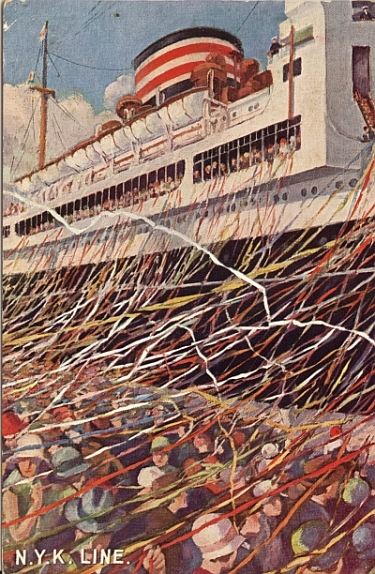 The caption on the back of the card reads “Shouts of Bon Voyage and cascades of paper ribbons mingle as an N.Y.K. 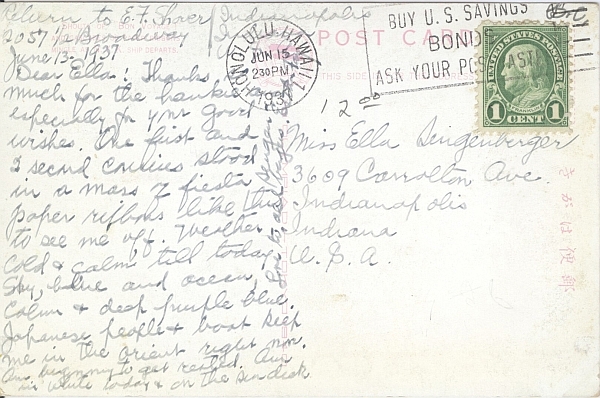 ship departs.” The postmark on the back is dated 15 June 1937, Honolulu, Hawaii and was probably send on the way to a port in Japan. 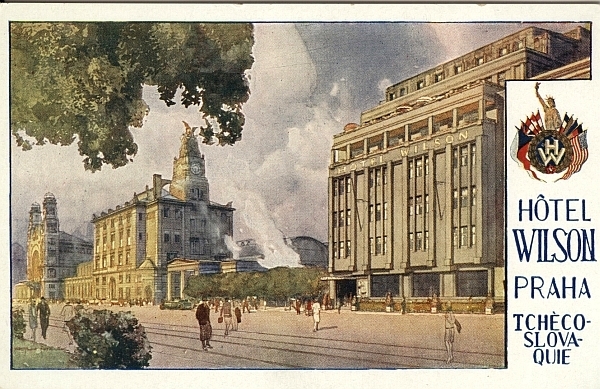 The second postcard is for the Hotel Wilson in Prague , next to the Main Train Station in Prague. Sadly, this vista was badly affected by postwar redevelopment in which the road shown became part of a virtual freeway cutting through central Prague. In addition, the main floor entrance to the main train station, which opened onto a lovely park and a view of the city, was closed in the 1970s in favor of a nasty underground hall / walkway that leads one out into the middle of the park. I experienced this myself in the 1990s. It was a disorienting mistake of the communist period. The hotel is no longer there as well, removed to make way for the freeway that passes through the spot now.